twin-engine jet Archieven - PLANESPOTTING.EU. 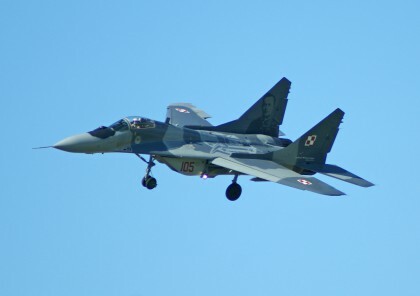 The Mikoyan MiG-29 (Russian: Микоян МиГ-29; NATO reporting name: “Fulcrum”) is a twin-engine jet fighter aircraft designed in the Soviet Union. Developed by the Mikoyan design bureau as an air superiority fighter during the 1970s.